“The house collapsed around 5 Pm. It was raining heavily and Shire River got flooded. When water started filling in the house, I took all the children and ran outside under the tree. In no time, the water filled the whole house and it finally collapsed,”she says. Mable and her children were rescued by the Village Disaster Committee who came by in a boat and ferried them to dry land. They joined their neighbours, who had also been evacuated, in a camp for people displaced by the flooding. Life in the camp is difficult. Mable arrived with nothing, “not even a spoon,” so she is totally dependent on the meagre rations that are available. They are sleeping on the floor in crowded quarters and lining up to use the few available latrines. There is no school for the children. In the beginning, they were only eating one meal a day, which left them hungry. Humanitarian Coalition member Islamic Relief met Mable, her children and other families in the camp, and distributed food and household items. Life became just a little bit easier. 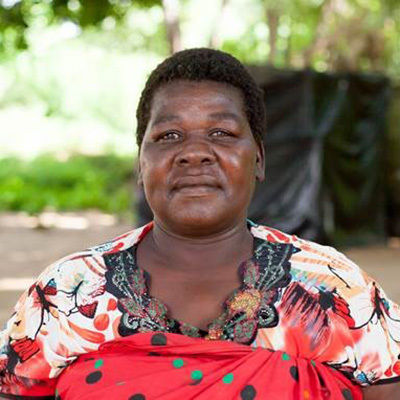 “All I can ask now is for seeds, land for cultivation…as well as sleeping mats,” she says.